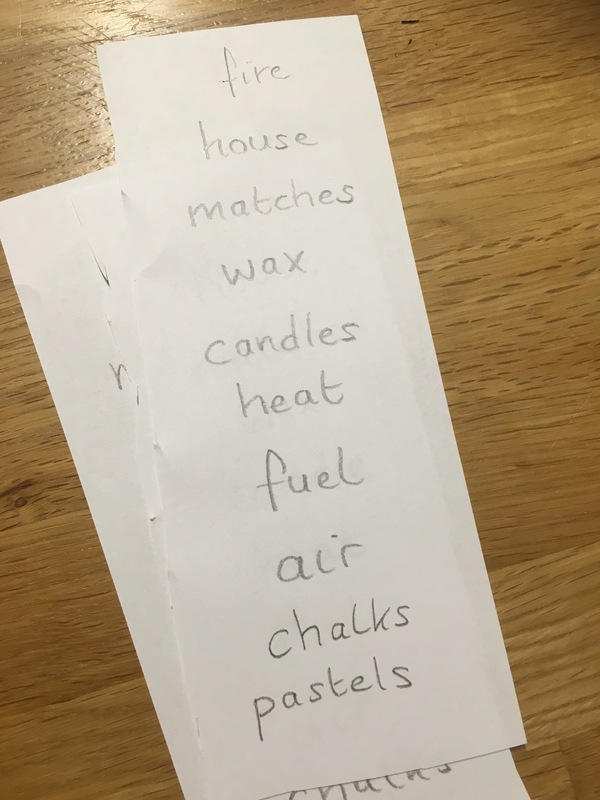 English Lesson : What does Fire Need? 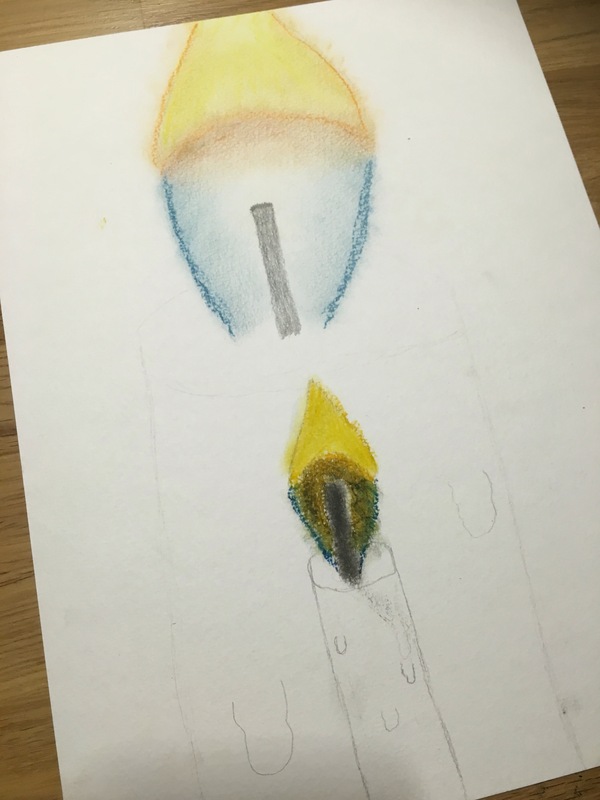 Last week we had our second lesson on fire. 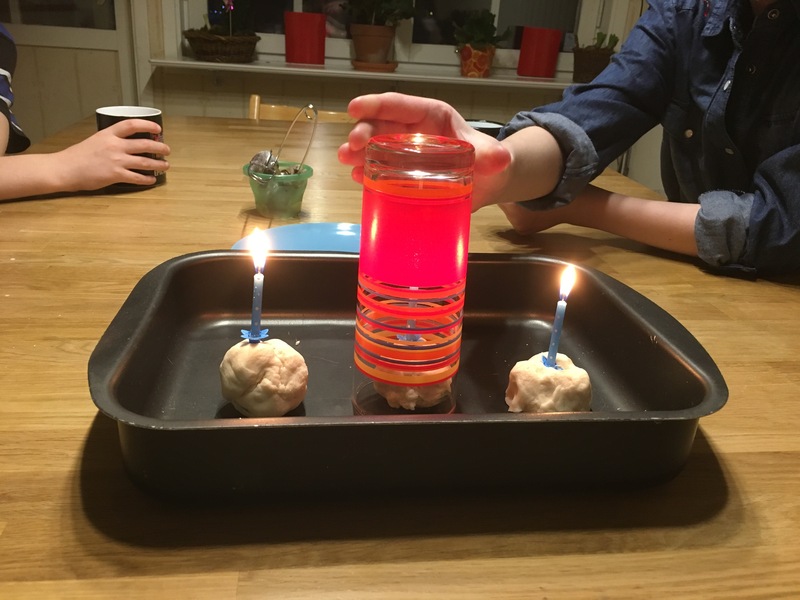 We started the lesson with an experiment. 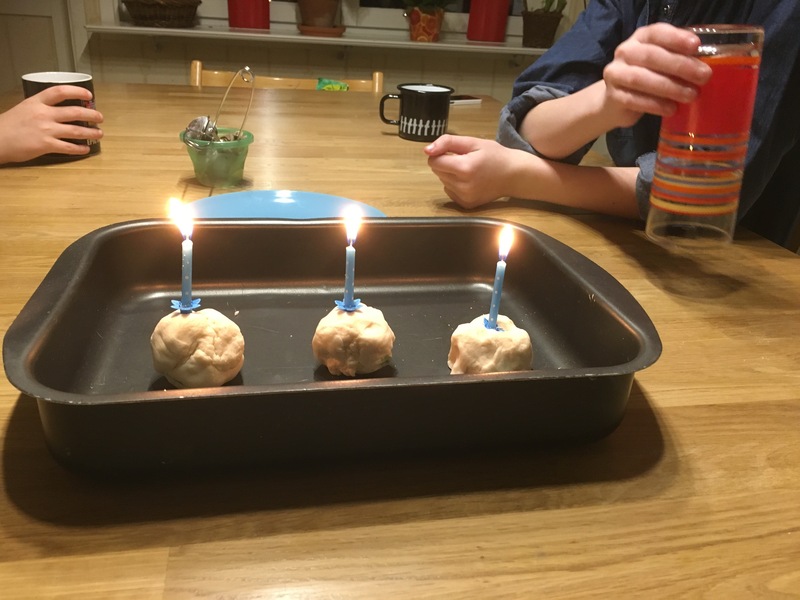 Three candles (stuck in playdough for safety) in a metal tray – what does fire need? 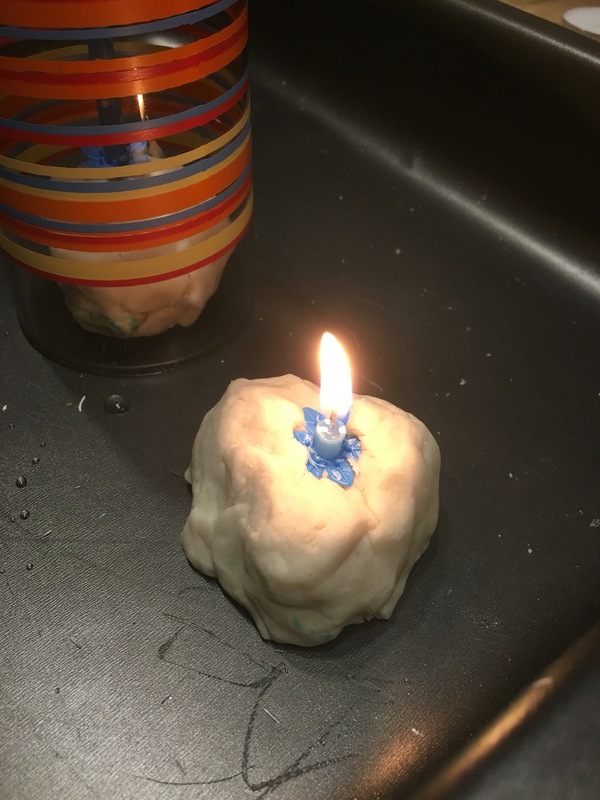 We sprayed one candle with water, and the fire went out : Fire needs heat! 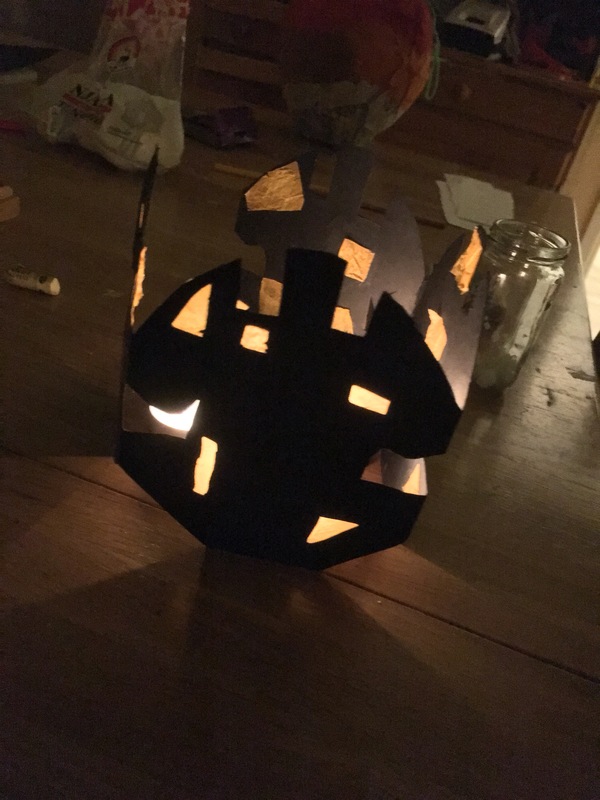 We put a glass over one candle, and the fire went out : Fire needs air! And we let the last candle burn down until the fire went out : Fire needs fuel! 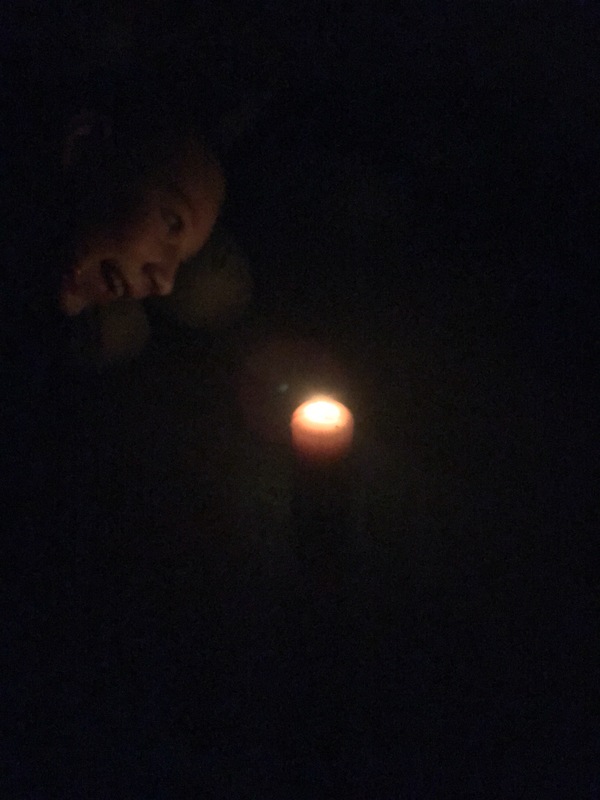 We sit in a circle in the dark, with a candle in the middle. We all have a match. 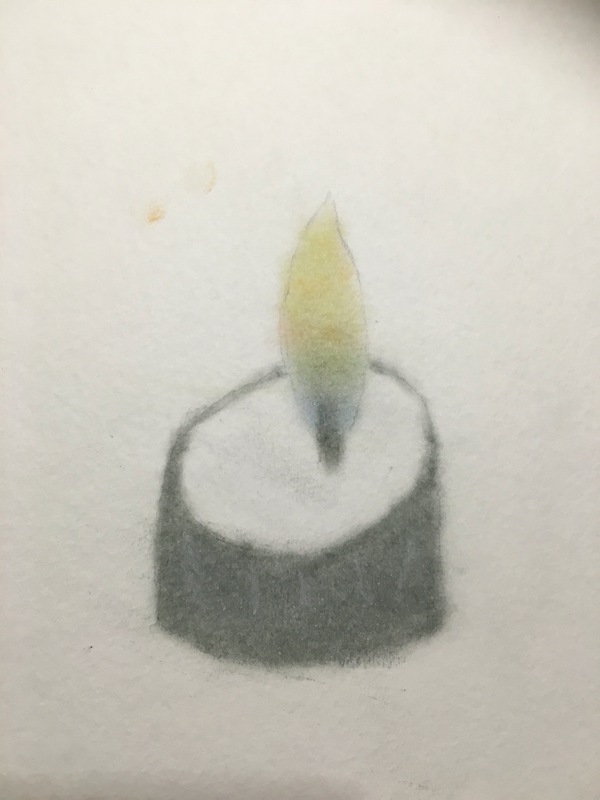 The first person lights the match on the matchbox, and then each person in the circle, in turn, lights their match from the last person’s – the last person in the circle lighting the candle in the middle. The kids loved this (and it was evident which kids had been scouts, and were safe with fire! 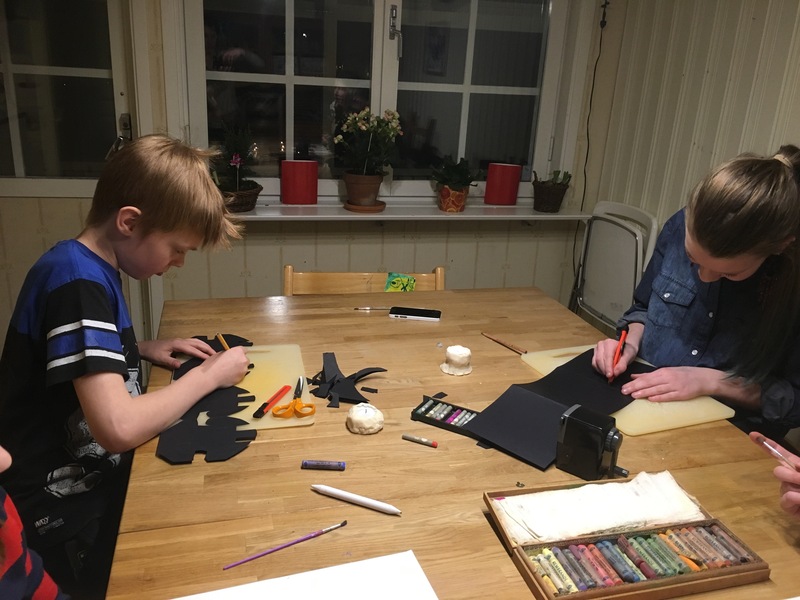 ), and we each had a turn lighting the first match, and then lighting the candle…. 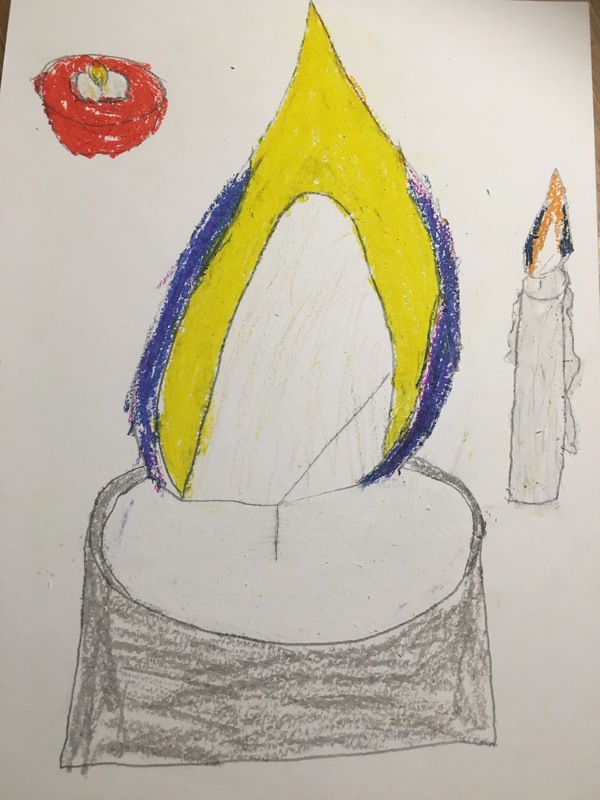 We then took a long time observing the flame, and talking about the colours within the flame and its various types of heat…. 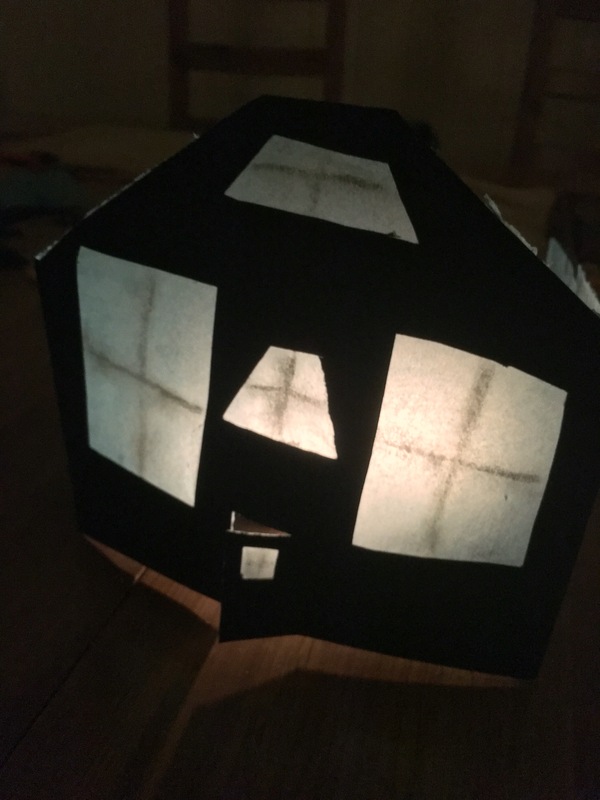 Lastly, we talked about how fire (the sun) gives us light, and the ones who had finished their pictures, made ‘house lights’…..